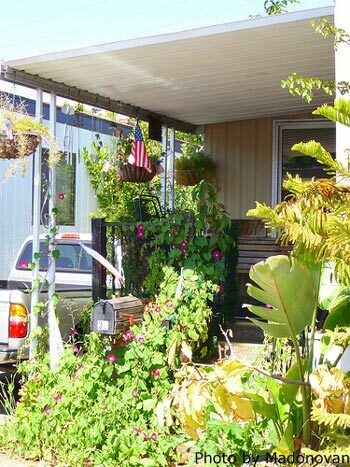 Our reader asks about a mobile home porch design for her home. Currently without a porch, her mobile home is cozy on the inside but she would like to warm it up with a porch. Our reader would like her home to be more like a stick-built home and is wondering what the options are. We offer her some suggestions regarding mobile home porches. QUESTION: We have the basic double wide mobile home (could not afford to build the home we had planned). 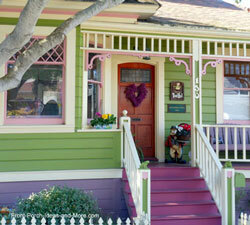 It is charming on the inside, but the basic rectangle shape. We want to make it homier and more like a stick built home. 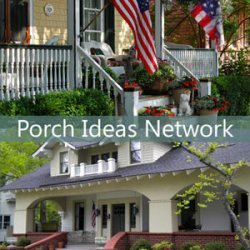 We think that a porch will help. I like chunky country columns. What can you suggest? 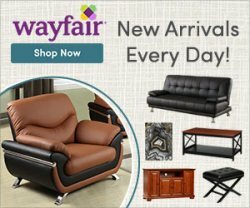 ANSWER: Thanks for visiting our site and contacting us. Without seeing your home it is a little more difficult to answer but here are two possibilities. One is building a typical country style porch which is wide and may or may not have railings (dependent on height of porch floor). 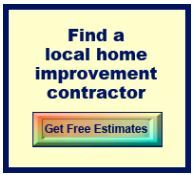 I am assuming your home's roof line is low and therefore you may want to opt for a shed-type porch roof. I'd also suggest since your goal is to give it a homey look, installing a really nice balustrade (railing) whether you actually need it or not depending on local building codes, would add a lot of curb appeal. If going country, railings are normally simple in design. 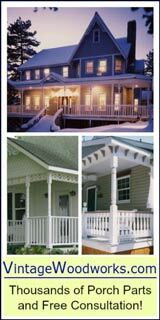 The other option is similar but consider using craftsman style columns instead similar to the one's on Anna's porch on our site. 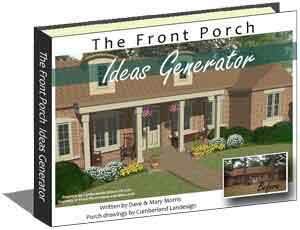 This will give your porch a comfy look. Feel free to send us a picture or two and we may be able to give you some other ideas as well. Please keep in touch and let us know what you decide; we'd love to share photos of your before and after! 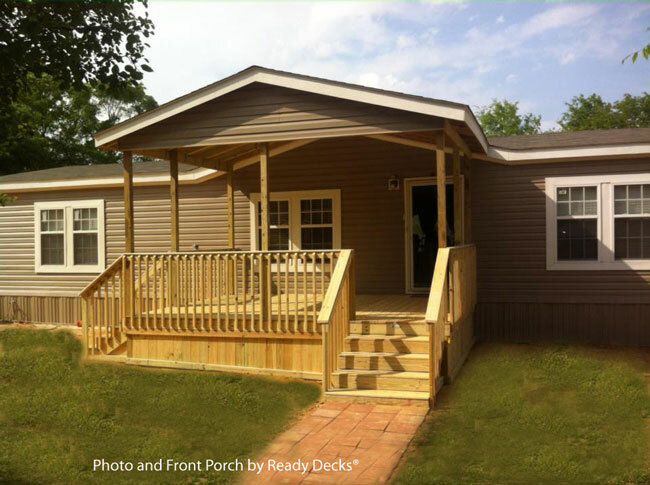 We had the opportunity to speak with a builder of affordable porches. 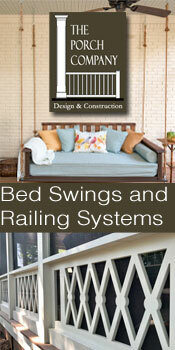 One of his specialties is building porches for mobile homes and how many of them are done in just one day. Imagine going to work and coming home to a new porch. 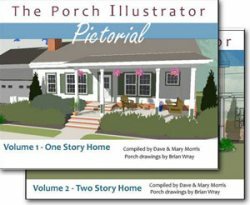 In this informative interview we did with Bradley Johns, he spoke with us about his company and how his porches are built. So enlightening and we hope you will enjoy listening. 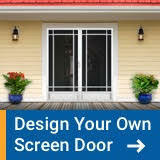 We hope you got a bit inspired from this article about mobile home porch design.